If the last V8 powered Brit just didn't catch your fancy, then perhaps this next beast is more rubber bumpery and stock 70s looking for your collection. 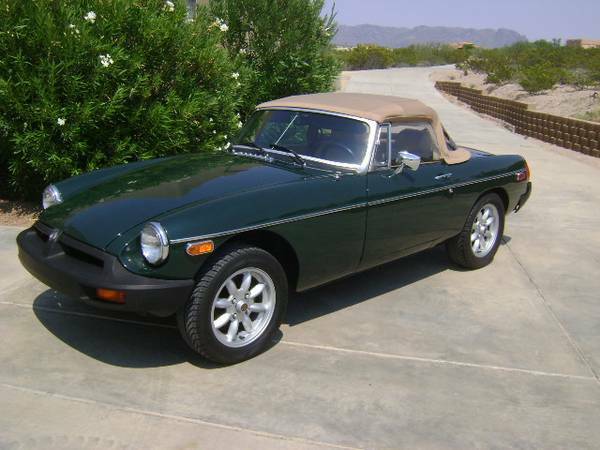 Find this 1975 MG MGB offered for $11,500 in Temecula, CA via craigslist. Tip from Rock On! Smog exempt. 1975 MGB, powered by a Rover V8. Built a few years ago as a show car, driven just 6,000 miles. 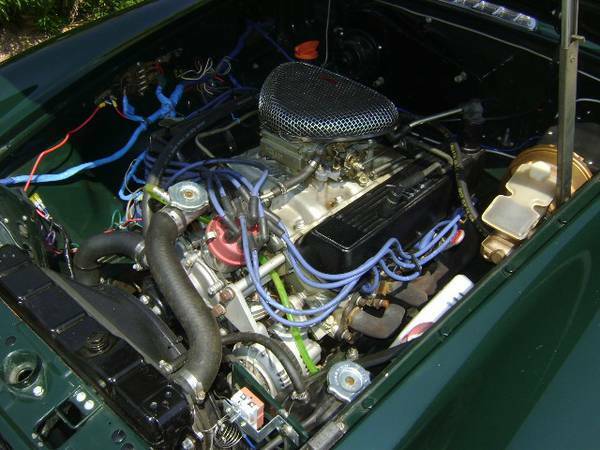 The engine is a Gold seal factory rebuilt 3.5, equipped with a Holley 4 barrel. Also has headers and dual exhaust. This is a great conversion done in the same manner as the factory V8 cars. At the same time of the build the car received all new brake components, cooling system, wheels and tires. The body received all new paint in dark Jaguar green. The interior was redone in high quality leather. The roof is new canvas material.